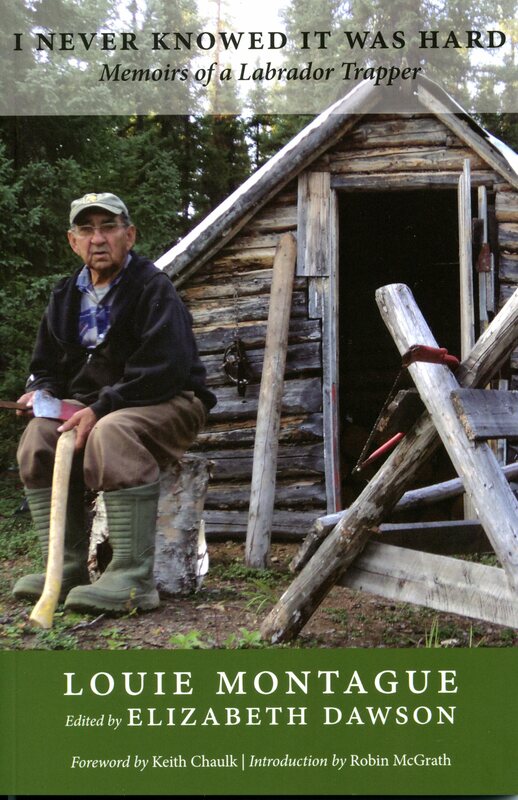 I Never Knowed It Was Hard, the memories of Naskaupi River trapper and fiddler Louie Montague, a 77- year-old Nunatsiavut (Inuit) elder from North West River, Labrador, recounts in rich detail the way of life in “them days.” Louie has travelled Labrador extensively as a trapper, hunter, prospector, and guide, and as an employee of the provincial forestry and wildlife departments. His remarkable memory and unique understanding of nature, acquired by study and first-hand experience, is complemented by his being an avid reader who constantly seeks more knowledge of Labrador and Arctic history. Here he talks about his family, trapping, hunting, caring for sled dogs, encounters with Innu in the country, woodworking, and most importantly, life on the Naskaupi River, especially as this has been impacted since the damming of its source for the Upper Churchill project in the 1970s. While Louie Montague’s story tells about and draws from the past - his Great-Grandfather Montague came to Labrador from the Orkney Islands in the nineteenth century - he is very much a man of the present: he remains busy as an accomplished craftsman; and he is deeply aware of how changes to the land have affected the present and will impact the future. He also describes the changes in life with the coming of the Goose Bay Air Base in the 1940s and his jobs there and elsewhere over the years.